Everyone deserves holidays! While children and teenagers have fun, parents chill out. How about babies? 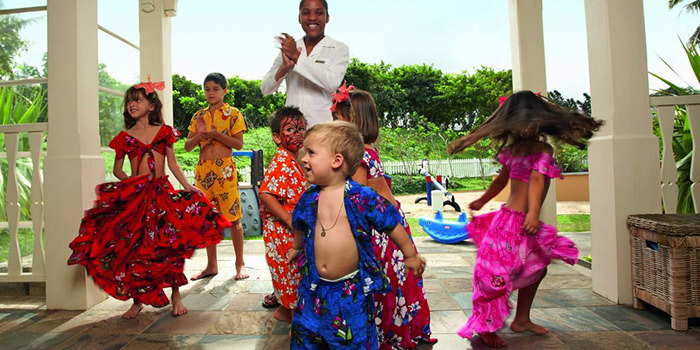 For the total comfort of its guests, Heritage Resorts will have a kiddy club, as from November 2014, for the 0-2 year old children and unique services for toddlers when they are far from home! 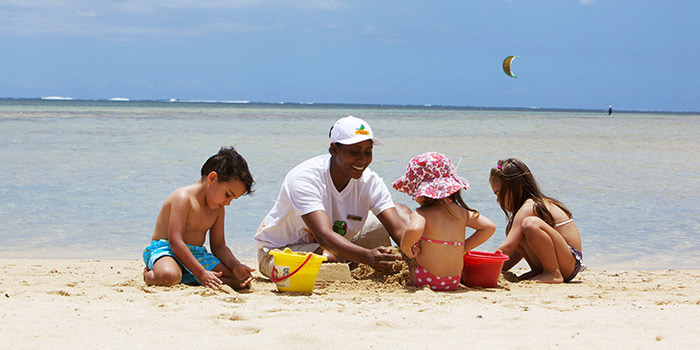 With its “Baby Timomo” club, Heritage Resorts are the first hotels in Mauritius to offer a complementary and dedicated space for toddlers. 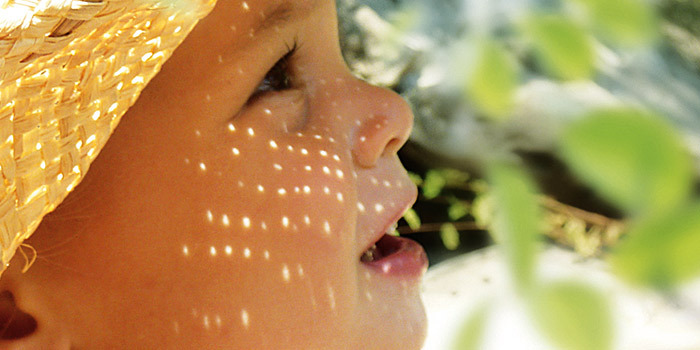 Open 7/7 from 8:30 am to 4:30 pm, the club welcomes children under 24 months. A team of six nannies stands by, each one taking care of up to two babies at a time. They are all qualified in childcare and first aid, and committed to provide each child with personalised care and age-appropriate activities. Awakening of the senses is one of Baby Timomo Club’s focuses: there are play mats and developmental games to stimulate their motor skills while respecting the natural growth rhythm of each infant. Parents’ instructions and recommendations will be strictly followed to ensure baby’s best possible experience. 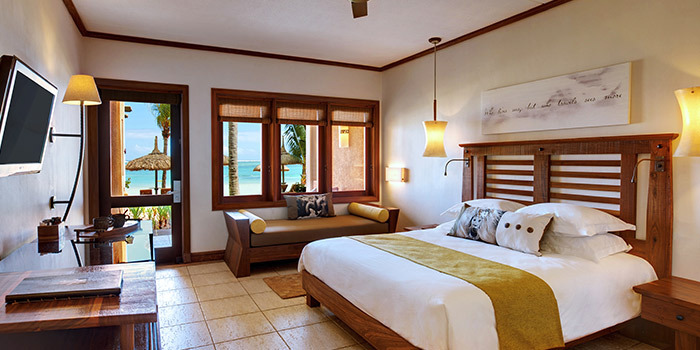 Moreover, Heritage Le Telfair and Heritage Awali both have a 24-hour Baby Corner close to the hotel’s living spaces, where parents can change and feed their babies. Specific baby products and facilities are available on site, such as cleansing lotions and home equipment for babies, so parents can pack-up light for trouble-free vacation. Children will enjoy a whole range of fun activities and learning games for holidays full of discoveries and good memories! In addition to the baby dedicated space, the “Timomo & Friends” Kids Club has a “Mini Timomo” corner for children from 3 to 6, and a “Kids Timomo” corner for children from 7 to 11. Children will enjoy a whole range of fun activities and learning games for holidays full of discoveries and good memories! Last but not least, teenagers from 12 to 17 have their own private space. Swimming pool, climbing wall, music instruments, pool table and various activities definitely make the Cool Teens Club a paradise for teens! 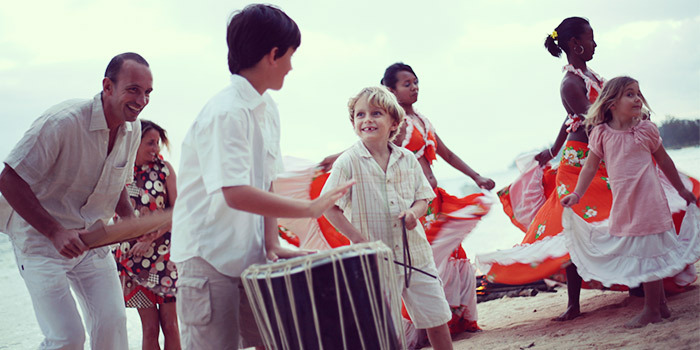 Timomo is the name that was chosen for Heritage Resorts’ Kids Club. A green bird with a yellow beak, Timomo represents a parakeet – an endangered bird species native to Mauritius. Timomo is looking for a treasure which is found on the other side of the rainbow. Along his treasure hunt, he makes new friends. Together, they will help him in his quest, and Timomo eventually discovers that he already has the greatest treasures: a rainbow heart where love, friendship, respect and kindness prevail and shine a bright light! 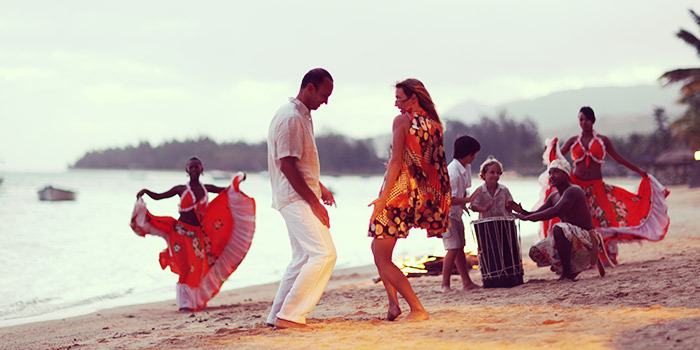 Mauritian identity, sense of hospitality and the rainbow nation are conveyed through this concept. While sharing the cultural heritage of Timomo and his friends, the V.I.kids learn that differences create harmony, and that each one of them is unique and yet complementary to the “Timomo & friends” kids club. Our young guests have an endless choice of distractions at the Domaine de Bel Ombre. Facilities in the luxury hotels and on the Domaine itself add up to 2500 hectares of leisure and pleasure. 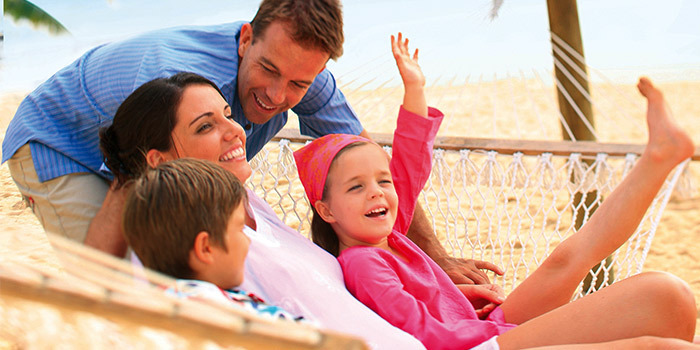 From special equipment to a dedicated and qualified team, everything is thought for the comfort and entertainment of our visiting families and to make sure they spend unforgettable holidays! http://www.coloursmauritius.com/wp-content/uploads/2014/11/baby-timomo-a-unique-service-in-mauriitus.jpg 350 700 evovlh19 http://www.coloursmauritius.com/wp-content/uploads/2018/04/colours-main-logo.png evovlh192014-11-05 09:50:292015-01-22 10:59:26Baby Timomo: a unique service in Mauritius! From the rooms to the restaurants and spa, the strategic points of Heritage Awali five-star resort have been revisited this summer to meet guests’ wishes. Refurnished in a more modern and streamlined style, with soft lighting and new decorative features, Heritage Awali’s rooms set the perfect environment for a relaxing and pleasurable holiday break. Walls painted in lighter hues reflect the seaside natural light, and the bedding was completely renewed for extra comfort. All these slight changes were made with the guests’ optimal and immediate comfort in mind. Because our guests’ well-being is a key focus, the refurbishment of the hotel’s Seven Colours Spa was one of the major renovations. In addition to the new equipment and fresh look, the spa now boasts a more spacious and stylish lobby. A dedicated treatment room for children and a bridal preparation suite were added to the spa facilities. At the kids’ spa, our young guests are introduced to a world of relaxation and experience deluxe treatments tailored to their needs. The bridal spa offers the bride-to-be and her ladies an exclusive area where they can pamper themselves and enjoy make-up, hairstyling, manicure and pedicure sessions. It also features a mini-bar for an ultimate private toast before the bride walks down the aisle. Heritage Awali’s renovation was an opportunity to revisit the concept of two of the major hotel’s restaurants: the Zafarani and the Infinity Blue. With a new name meaning “saffron” in Swahili, the Zafarani is an Indian restaurant inspired by the Holi Festival – a colorful celebration in honor of Hindu deities, Krishna and Kâm. Open for dinner only, this 38-seating restaurant is reserved for adults. 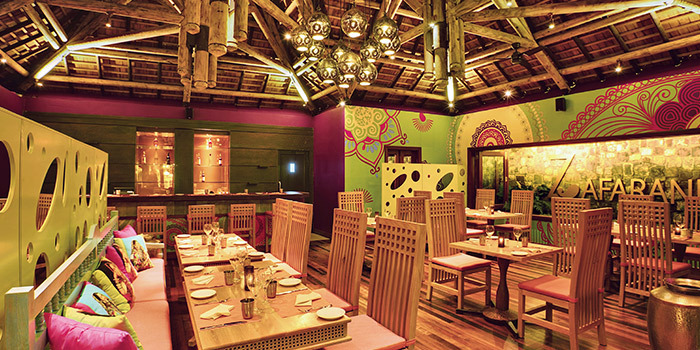 Guests will be overwhelmed by the festive atmosphere and typically Indian decor. The Indian-born Chef treats his guests to culinary specialties of North-India, and the decorative elements and copper-brown metal dinner service are reminiscent of traditional Indian handcraft. New ways to appreciate the delicious Indian food are featured: the most curious will relish the Indian-style tapas the Chef prepares in front of them, while couples will enjoy the more intimate setting of the three poolside tables for a romantic dinner over the waters. 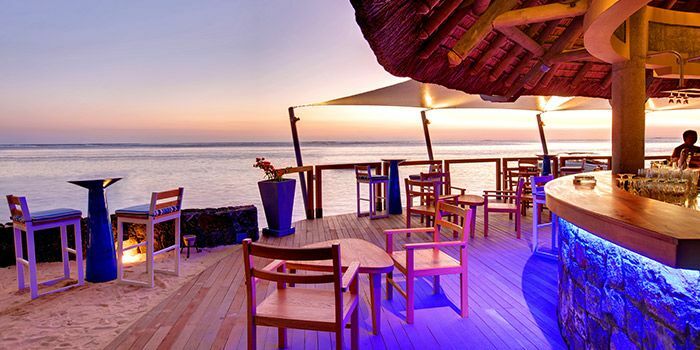 Major changes were made to the Infinity Blue beach restaurant to enhance the seaside look: while the furniture was replaced, the bar was moved to expand the restaurant’s capacity and offer a fuller view on the infinite turquoise lagoon. Tables for two were set on the waterfront for couples looking for an intimate dining spot. 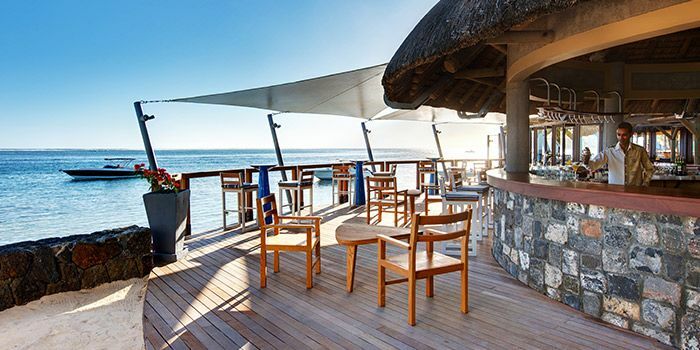 The Infinity Blue Cocktail Bar was moved further down the beach and built on the wooden deck extension to give the impression of standing above water at high tide. With its discreet yet elegant design, the bar is an ideal spot for relaxing at any time of the day. The final touch – and surely one of the most innovative – is the “swing corner” where guests are invited to share a happy meal on swings! 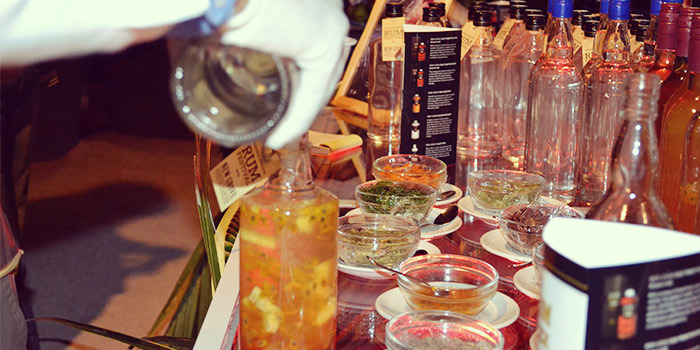 The visitors’ culinary experience and well-being are at the heart of Heritage Awali’s renovation. 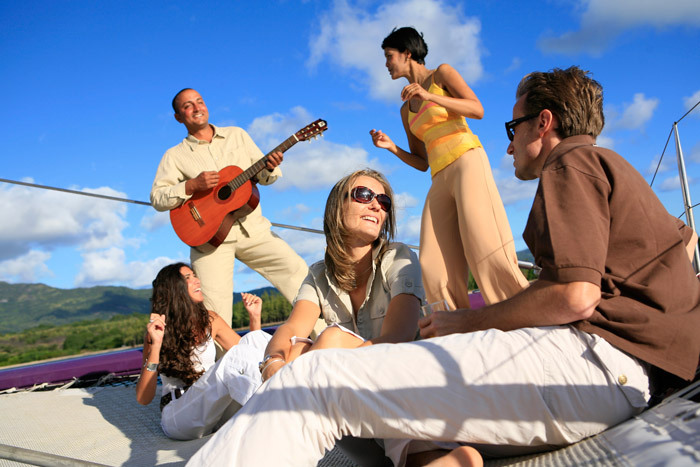 The idea is to provide guests with a delightful experience that constantly arouses their senses. 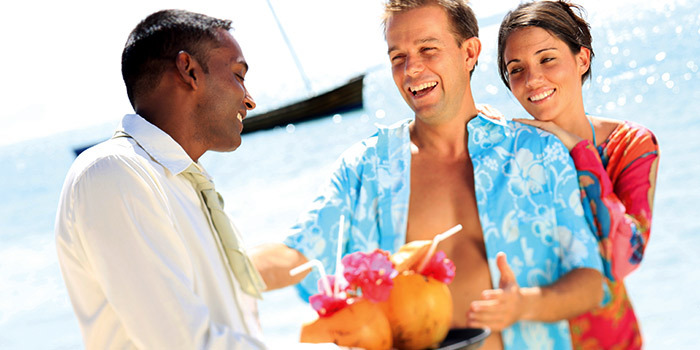 “The time of our lives!” That is how couples remember their wedding at Heritage Resorts. The latest big event at the Domaine de Bel Ombre is a prime example: an unforgettable and grandiose three-day Indian wedding. 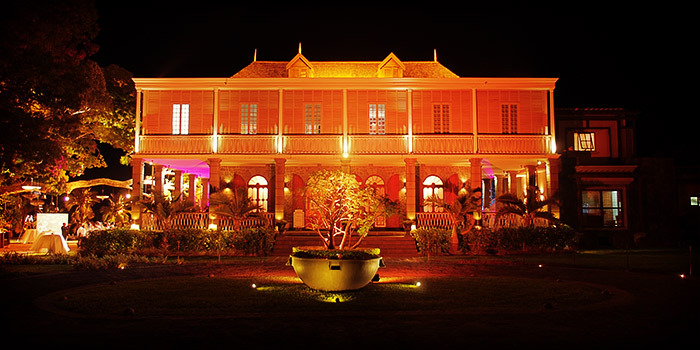 From the 13th to the 15th of June 2014, Heritage Le Telfair Golf & Spa Resort was privatised to accommodate over 450 guests. 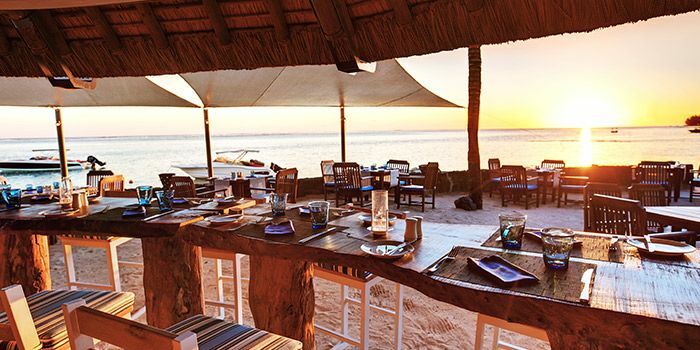 Providing top service to such a large attendance required tremendous staff deployment: 40 foreign chefs, barmen from South-Africa, 60 students from the Mauritius hospitality school, 95 chefs and cooks, and about a hundred people from Heritage Resorts. The celebrations were staged in the most beautiful spots of the estate. 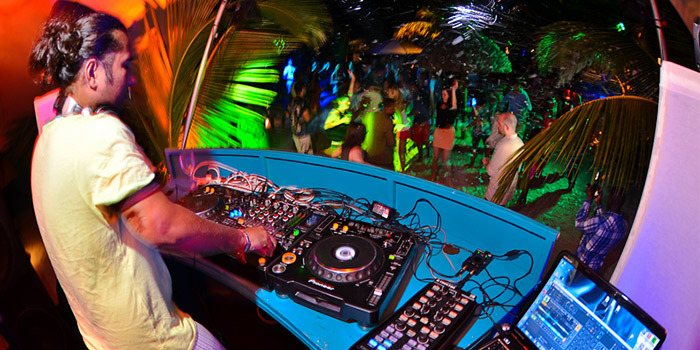 An events agency hired for the occasion put up a magical background of light effects, ad hoc structures and colourful ambiences, with a different set-up for each highlight of the three-day festivities. 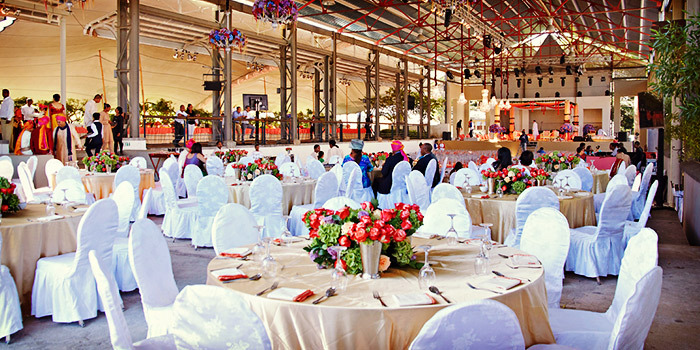 Each ceremony had its own decor and theme: welcome brunch at the Gin’ja in a vintage style; cosy lounge atmosphere at the C Beach Club for a chic party under the stars; English Tea Party in the hotel gardens for the Mehendi session; baroque accents for the Sangeet, shifting to springtime scenery for the nuptial ceremony, both at La Place du Moulin; princely decor for the closing banquet at the Château de Bel Ombre. It was a big challenge to host such a wedding, but also a great opportunity to prove the excellence of Heritage Resorts’ service and to showcase the wonderful venues of the Domaine de Bel Ombre. For those who want to take the plunge on our beautiful island, the Domaine de Bel Ombre offers two different settings for the wedding of your dreams: the timeless beauty of a 19th-century castle or the exotic charm of a pristine beach. Romantic couples will surely fall in love with the Château de Bel Ombre, its beautiful gardens and breathtaking views on the hills and crystal lagoon. The starry sky and enchanting backdrop of this landmark house are key ingredients to a fabulous wedding. With its coconut trees, swimming pool and Balinese-style furniture, the C Beach Club offers the ideal backdrop for an intimate wedding in a trendy and laid-back atmosphere. Two lovers, barefooted in the sand, gazing at the infinite blue sky – the perfect wedding picture! 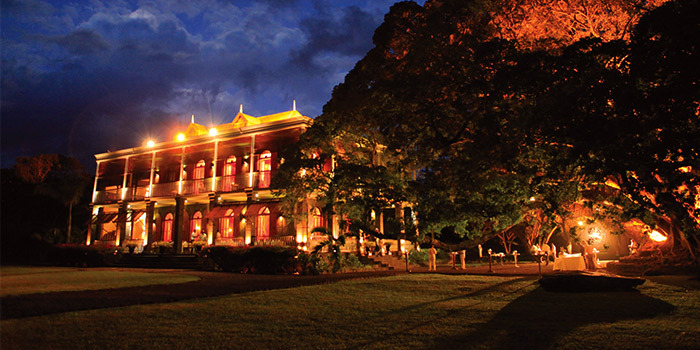 From sumptuous banquet to intimate reception, Heritage Resorts offers each couple a customised experience. Get rid of all the organisation pressure: a wedding planner will take care of every detail. In the meantime, newly weds and their guests are invited to make the most of their holidays in one of the three five-star resorts – Heritage Le Telfair, Heritage Awali or Heritage The Villas. With splendid reception areas and about 2500 hectares of wonderful landscapes, Heritage Resorts is definitely the dream place for an ultimate wedding and an invitation to celebrate love in all its beauty. 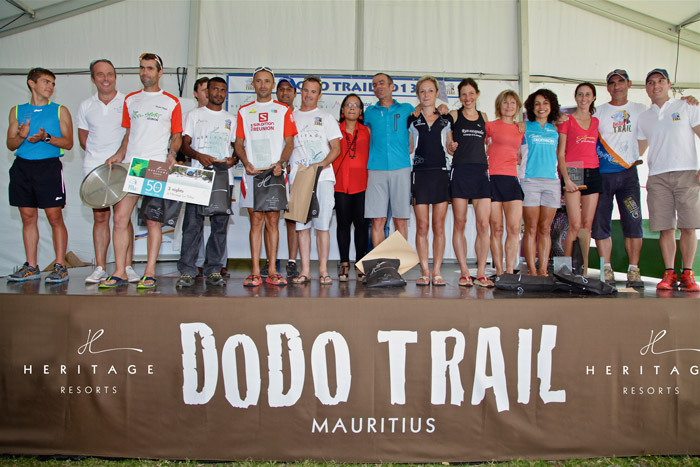 Heritage Resorts is the main sponsor of the Fourth Edition of the Dodo Trail, which will take place on July 13, 2014 in the southwest of the island. Our attractive packages will allow participants to prolong this nature experience beyond the race… Ready, get set, go! 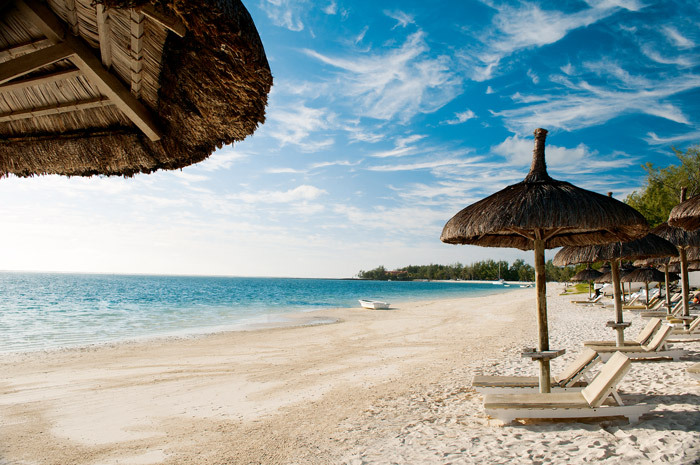 Dodo Trail participants and their family can benefit from attractive packages at Heritage Resorts: Heritage Le Telfair Golf & Spa Resort, Heritage Awali Golf & Spa Resort and Heritage The Villas. 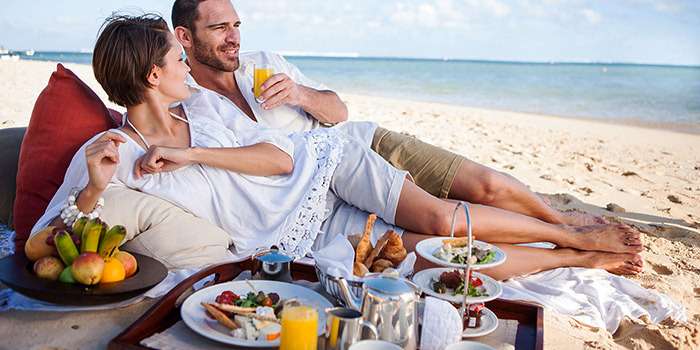 These packages include transfers to and from the airport and to and from the Dodo Trail’s starting and finishing lines, free and unlimited access to Heritage Golf Club, daycare for children, discounts on flights with Air Mauritius and more. The Dodo Trail offers four unique and challenging trails for experienced runners as well as for beginners and families: Xtreme Dodo Trail, Ti Dodo Trail, Mini Dodo Trail and Dodo Fun Run. 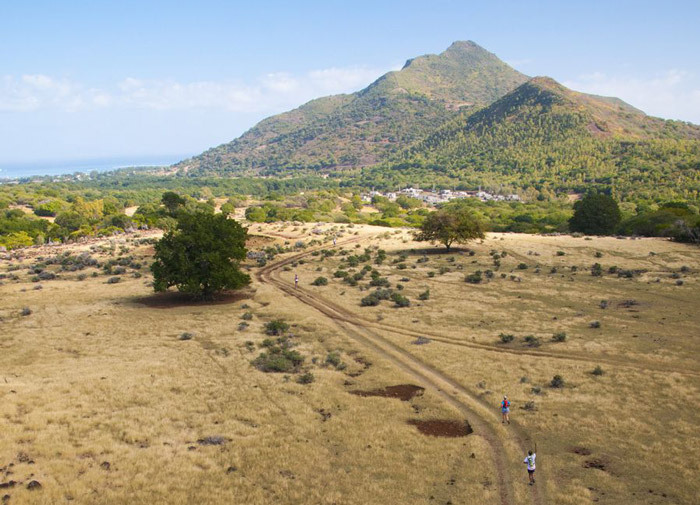 The trail is a unique opportunity to discover the most beautiful landscapes of the southwest of Mauritius, such as the view on Benitiers island or the Black River Gorges’ National Park. Not only is the Dodo Trail perfectly in line with the “nature” experience provided by Heritage Resorts, but the race also fits with Heritage Resorts’ commitment to protect and conserve our natural heritage. To achieve this commitment we have been collaborating with the Mauritius Wildlife Foundation to protect the endemic and indigenous flora and fauna and reforest the Frederica Nature Reserve, the use of natural products at the Seven Colours Spa, implementation of new techniques for an environmentally responsible golf course, setting up a glass recycling plant and longterm commitment in lagoon preservation in association with REEF, a local NGO focused on marine preservation. Register now to experience the unforgettable Dodo Trail as places are limited! Following the 2013 refurbishment of the hotel, the boathouse has recently been fully revamped – fantastic news for watersports fans: glass-bottom boat, stand-up paddle and pedal boat for families fond of unforgettable memories; introduction to scuba diving and windsurfing for sports-enthusiasts, underwater sea walking and deep-sea fishing for thrill-seekers… There is something to suit all tastes! The major new feature will delight kite surf lovers: Veranda Palmar Beach joined forces with Kite Globing, our partner at Heritage Resorts and renowned kite surf centre offering excellent classes and equipment. Beginners and pros alike will enjoy one of the best kite surf spots of the island under the supervision of certified professionals. Fun activities suitable for all ages ! Since the renovation of the hotel in August 2013, guests are welcome in the nautical inspired decor for the ultimate seaside holiday. Veranda Palmar Beach Hotel is ideal to enjoy seaside pleasures with a 1.5km white sandy beach, pristine sea and wide lagoon optimal for watersports. In addition to its proximity to the Veranda Resorts hotels and its attractive prices, Croisières Australes guarantees on-board safety, professionalism and friendliness of the crew and fun. 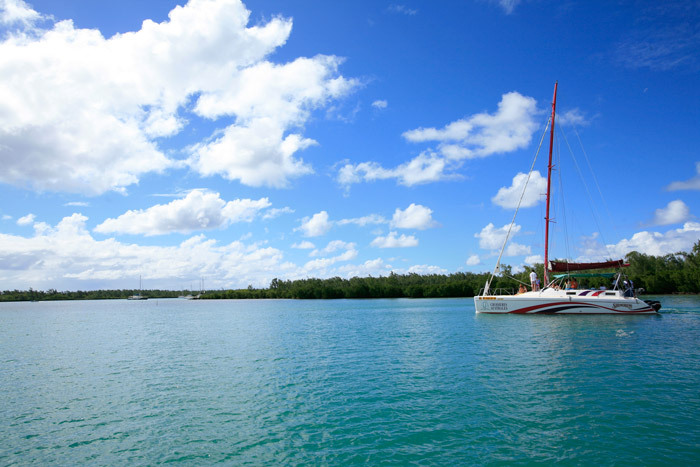 Its fleet of catamarans, sailing boats and speedboats provide absolute comfort for an unforgettable experience. A variety of excursions are available on the north coast (Flat Island, Gabriel Island, Gunner’s point…) and the east coast (Ile aux Cerfs, Grande Rivière Sud Est waterfall). Croisières Australes also organises deep-sea fishing, snorkelling and swimming with dolphins! What better way to complement a holiday in Mauritius than discovering the beautiful lagoons, coral reefs and surrounding islands as well as learning a few facts? For example, did you know that Gunner’s point is a natural habitat for the “paille-en-queue”, the iconic tropical bird of the Mascareignes archipelago? Hop on board of Croisières Australes to discover the island! 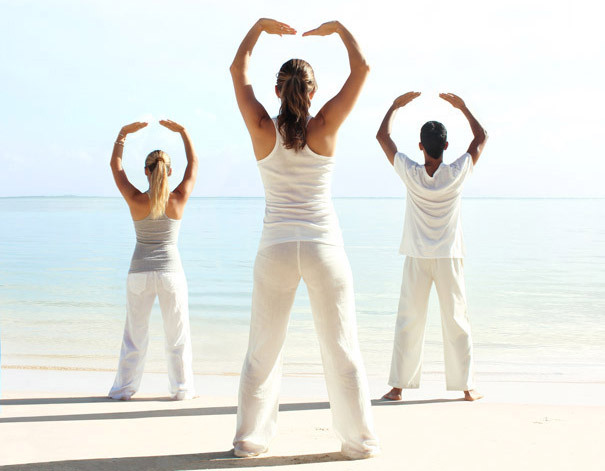 Qi Gong, Pilates, Yoga… What is the secret to feeling good? Heritage Resorts can help with its new Wellness Weeks, during which guests will be initiated to the art of relaxation, receive valuable advice from experts and enjoy well-deserved serenity. Our wellness packages consist of discovery workshops, signature massages and treatments and revitalising walks in the Frederica Nature Reserve. These energising weeks will help ban stress from your daily life. The Domaine de Bel Ombre is a haven for nature-lovers, and our Seven Colours Spa is the ideal place to relax and enjoy a peaceful holiday! The “Be Fit” Wellness Package includes an introduction to Pilates by Mickaël Pulcini, morning classes, two detox massages and a walk at the heart of the nature reserve. Pilates is a physical fitness system based on the movement of the centre of the body, which promotes a strong mind-muscle connection. Not only does Pilates help to shape a leaner silhouette, but it also provides deep muscular strengthening while improving breathing techniques. Mickaël Pulcini is a classical and modern dancer and teaches Pilates, at his studio in Paris and Nice. The “Initiation” Wellness Package includes an introduction to Reiki by Jean-Jaques Robinet, morning yoga classes, and revitalising walks in the Frederica Nature Reserve. 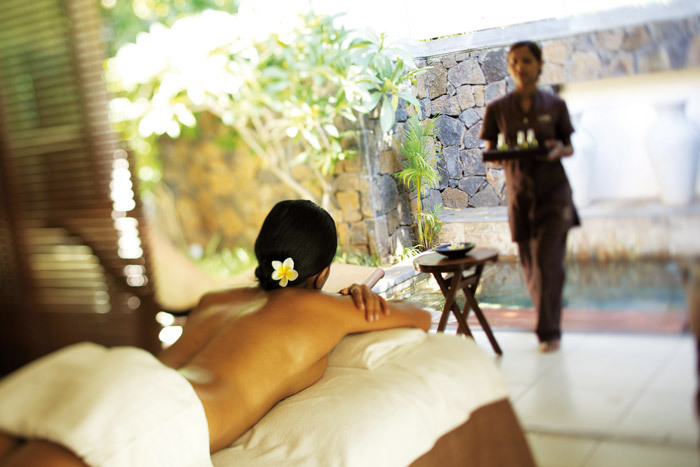 Participants will also benefit from spa treatments. Reiki is a Japanese practice that aims at reducing stress in your daily life and learning to relax. Using a technique commonly called palm healing or hands-on-healing, this spiritual discipline helps to relieve pain and reach general well-being. Jean-Jacques Robinet, a personal development trainer, REIKI USUI Master Teacher and REKI KARUNA Master, has specially designed this workshop to stimulate energy. Recently rewarded at the 2014 World Luxury Hotel & Spa Awards, Seven Colours further asserts its intention to provide the best service with recurrent Wellness Weeks.